Scuba diving in the Red Sea has become one of the most fascinating and vivid activities one could envisage. And of course, the Red Sea also offers the perfect prerequisites for snorkelling, adventure holidays, culture, relaxation to name but a few. You are probably asking yourself, just what is the charm of the Canary Islands and Fuerteventura in particular. And why should you venture on a holiday to Fuerteventura and why on a diving holiday? The year-round pleasant climate of the Canary Islands is an absolute plus. And the region is crisis-proof and can be reached as a short trip destination from almost any airport in Europe in just a few flight hours. One thing is for sure: Fuerteventura certainly has the most beautiful dive sites in the Atlantic. We promise an enormous abundance of fish, superb visibility, big fish and moderate water temperatures all year round! Geographically, one travels from the scarce surroundings in the north, reminiscent of a moon landscape, towards the marvellous, almost endless beaches in the south. This is where you will find the longest and most beautiful sandy beach in the Canary Islands. The sea is turquoise blue, incredibly clean and even reminds a bit of the Caribbean. The Canary Islands are always a bit windy however there are also calm months with moderate water temperatures all year round and with a bit of luck whales and dolphins can be encountered on our boat trips. Some places in Fuerteventura are also worth a short excursion. The Werner Lau dive center is located in the lovely Aldiana. The club resort is situated on a rocky plateau above the kilometre-long beach of Jandia in the south of the Canary Island. To Morro Jable it is about 6 km from the Aldiana. 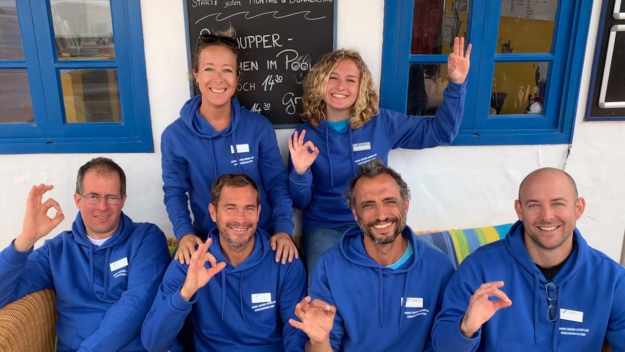 That means that we pick up all our guests who dive with us, from other hotels in the Jandia and Morro Jable region, free of charge and bring them back after the day of diving. Scuba diving and vacationing off Fuerteventura can only be described as diving through shoals of fish, schools of small fish but also big fish, barracuda, mackerel and tuna. The abundance of fish here in Fuerte is something else. Admittedly the landscape is not as colourful as in other diving areas, but we are also in the Atlantic. On the contrary, Fuerteventura has bizarre rock formations and an endless sandy terrain under water. Most of the dive sites offer the possibility to dive among huge schools of fish. From groupers, angel sharks, rays, cuttlefish and dolphins to manta rays and whales, it is all on offer here. Surrounded by rocks, reefs, overhangs, caves and canyons, we spot moray eels and congas, microorganisms, sea anemones and much more. During the summer there is even the chance to dive with whales. 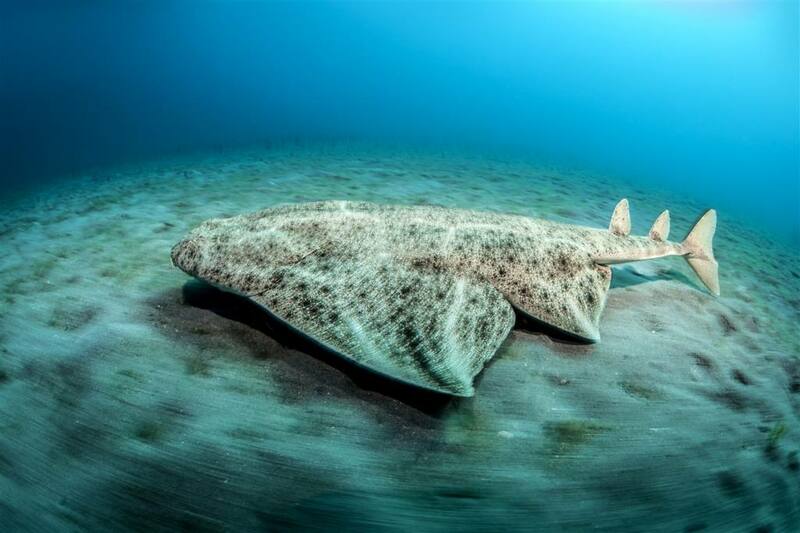 During the winter months you will encounter large butterfly rays, angel sharks, Atlantic rays, eagle rays and electric rays on almost every dive. 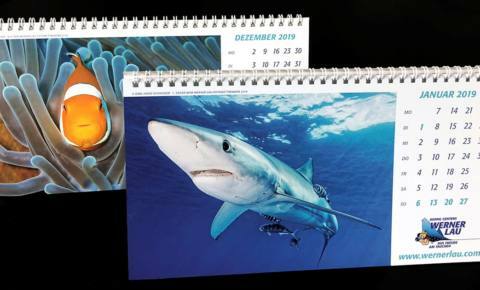 With some luck you might even spot a turtle, a deep-sea shark, a seahorse, a gurnard or some very special nudibranch. With its diversity of species, the Atlantic should not be underestimated, our guests are usually very positively surprised, in particular if they have previously scuba-dived in the Mediterranean Sea. Located on the beach of Jandia, the house reef extends to a depth of approximately 6 to 8m. 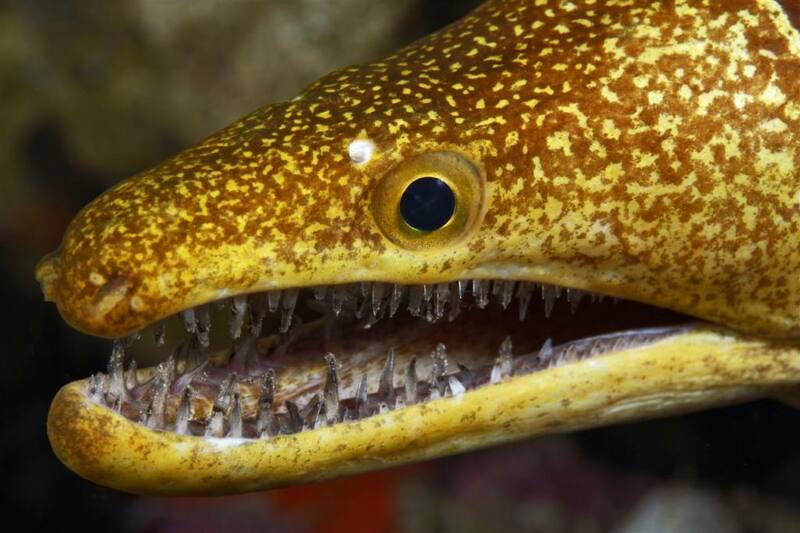 But more interesting are the surrounding dive sites, such as Las Salinas, the large and small moray eel reef at Jandia, Bajon and the west coast or the sites around Costa Calma. If there are enough participants, full-day tours to Lanzarote will also take place. The Las Salinas dive site is always offered as a two-tank dive. 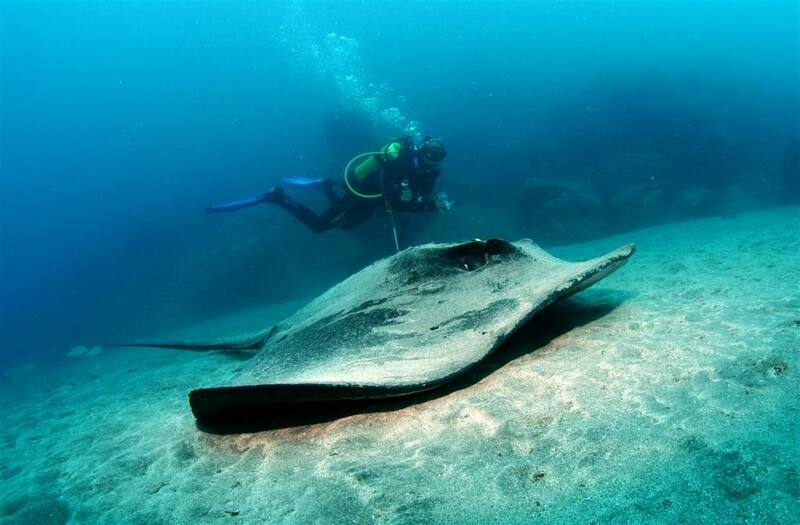 The site is located south of the airport and is considered one of the most beautiful dive sites in Fuerteventura. Bajon is about 50 minutes from Morro Jable. A very special spot on Fuerteventura, which we reach by boat. Here east and west coast meet. Our goal is a large rock in open water. A magnificent underwater scenery with small caves and lots of fish. We frequently observe eagle rays and angel sharks on the sandy sea floor and spot big schools of barracuda in the blue. Because of its location at the west coast and the open Atlantic you must expect currents. For now, this awesome spot is only approached by us. There are two dive sites in front of the lighthouse of Morro Jable, the large and the small moray eel reef, probably familiar to every diver in Fuerteventura. These spots are also reached by boat. These two great places owe their names to the countless moray eels that have settled here. We start of to Costa Calma by car and then change to the boat to go to the dive the sites of 1001 Eye and Boot Tower. Museo Atlantico on Lanzarote is an underwater park consisting of a series of bizarre cement sculptures created by the artist Jason deCaires Taylor. This artificial reef is a special place, a man-made underwater museum in the middle of a nature reserve. During this tour there will be one dive at the Museo Atlantico and another dive right next to the dive site Las Colorades. The abundance of fish and the diversity of species are awesome. And what is the weather like on Fuerteventura in a certain month? 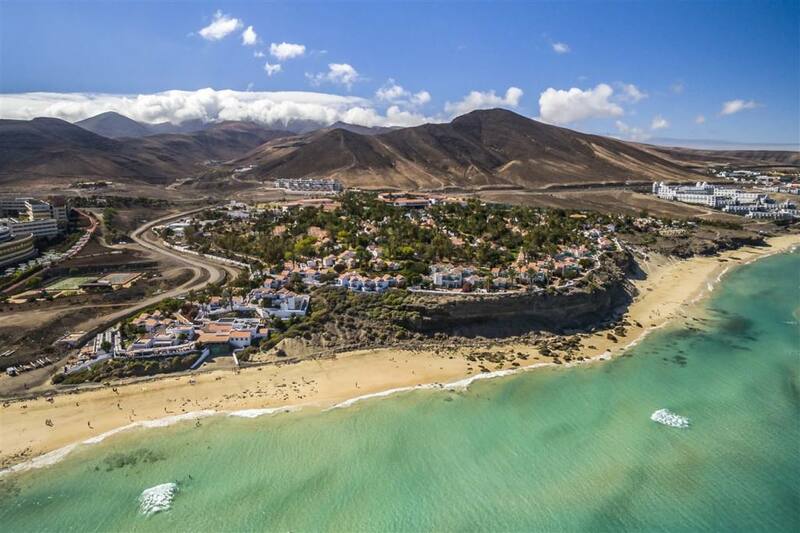 Fuerteventura is a year-round destination primarily because the weather is dry and warm all year round. Temperatures fluctuate during the summer and winter months, but the sun shines all year round throughout the day. The average daytime temperature during the winter months is 20 – 23°, but from April to November the thermometer climbs from 24° to 29°, sometimes more, and provides a pleasant climate. There are very few rainy days. The Canary Islands weather is mainly influenced by the trade winds, which also affect Fuerteventura. As the second largest island in the Canary Islands consists mainly of lowland, the wind is almost always blowing. During the late summer, the island is occasionally ” afflicted ” by hot desert winds of the Sahara. This phenomenon is called Calima and causes temperatures to rise up to 40°. However, Calima lasts a maximum of 2-3 days. On these days the wind brings fine, reddish sand dust to Fuerteventura. When is the best season of the year and when is the best visibility? The question which season of the year is best, is easy to answer: All year round! Especially if you want to avoid the European winter, it is well worth to fly to the Canary Islands for one or two weeks. If you have no children, it would be a good idea to choose the months before and after the holidays. What water temperatures can I expect and do I need a diving suit? The water temperatures are usually between 20 – 22° and getting a little warmer during the summer months. Then the temperatures reach 24°. A warmer suit, at least 7mm, is therefore highly recommended. Booties, hood and gloves are recommended, and during the winter months an ice vest is useful. How to dive in Fuerteventura? There are different variants, e.g. house reef diving, diving from the beach or boat or full day excursions. The house reef is located on the beach of Jandia at a depth of about 6 to 8m. The entrance leads over the beach in front of the resort about 50 m into the Atlantic Ocean. We drive to most places within a radius of 10 km with our power Zodiacs. We drive from the Aldiana by car to the harbour of Morro Jable and change to Zodiac Speed boat. We reach most of the places in 5 to 10 minutes. The tours start in the morning between 8:30 and 9:00 o’clock and in the afternoon at 13:30 o’clock. On request and in good conditions we also conduct two-tank dives at the dive sites. Dive sites further away such as Las Salinas are only accessible by car. Here we enter from the beach into the water. Due to the distance we always offer Two-Tank Dives. 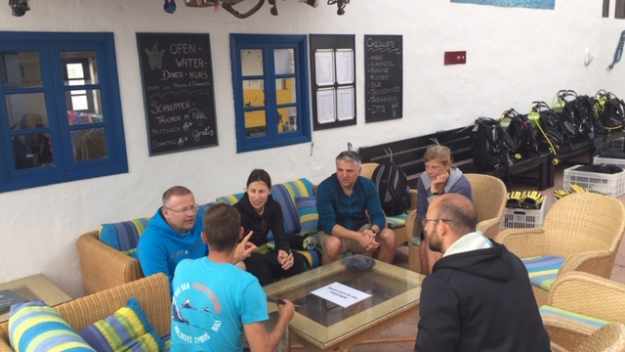 If we go to Costa Calma we start by car and change on site to a boat, to be able to dive the diving places at the coast in front of Costa Calma with our guests. This full day excursion starts early at about 5.45 in the morning. By car we go to the north of the island and from there we take the ferry to Lanzarote. In order to be able to present you this highlight of the Canarian underwater world we need a minimum number of participants of 4 persons. Around 4 pm we are back at the Aldiana. Can I dive in Fuerteventura as a beginner? Of course, you can! Fuerteventura is definitely suitable for beginners. There is little current and there are completely current free bays for beginners. In addition, you will be accompanied on all dives by one of our instructors or guides. We take you with us and show you the best spots Fuerteventura and the Atlantic have to offer. 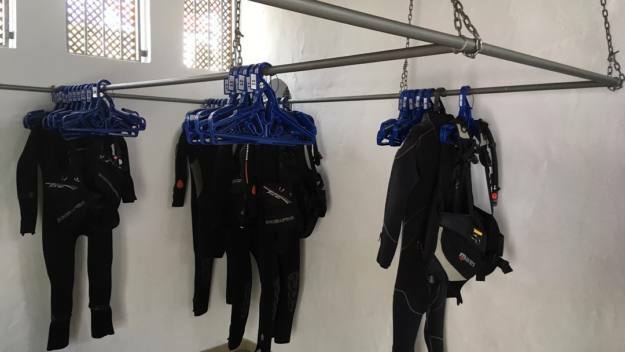 Is it possible to learn diving on Fuerteventura? 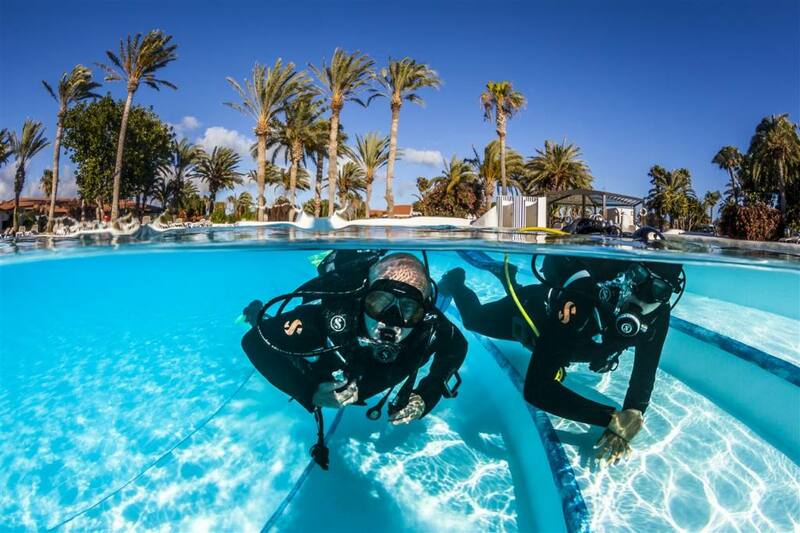 Fuerteventura and especially the Aldiana is perfectly equipped to educate you in this fascinating diving sport. Several times a week there is an introductory dive in the pool to give you a first impression. It’s here we start the dive training before we head on to the house reef and the local dive sites. A great atmosphere in the club and in the dive center ensures that you feel comfortable from the very first day. Learning is easy. In 3 to 4 days we will help you to access and see the underwater world. If you prefer, you can even learn the theory in advance at home online. So, there will be enough time during your holiday to enjoy the other activities of the club. Anyone who has completed the beginner course Open Water Diver with us receives an internationally recognized certificate and is welcome at any dive center in the world. We train according to the standards of i.a.c., SSI and PADI. 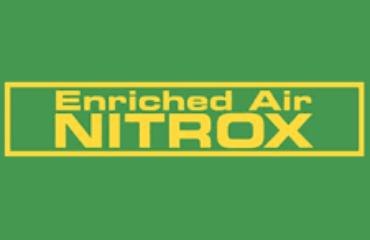 All diving certificates are absolutely equivalent and recognized worldwide. At any time, you can build on the Open Water Diver. What is the situation on Fuerteventura regarding insurance, what is the care in case of a diving accident and do I need a diving medical certificate? A personal diving accident insurance is mandatory on the Canary Islands. There are various international suppliers of these (e.g. DAN, AquaMed, DiveAssure, VDST). Whoever arrives without diving accident insurance can also take out a diving accident insurance for only two weeks at our center. Of course, both the dive center and our staff are covered by liability insurance. Fuerteventura is Europe and therefore meets the European standards for medical care. The next decompression chamber is located on Lanzarote. Both the dive center and our vehicles are equipped with first aid equipment, telephone and oxygen. Thankfully, we have not experienced any real diving accidents on Fuerteventura. Nevertheless, we are prepared for this and train our staff regularly. 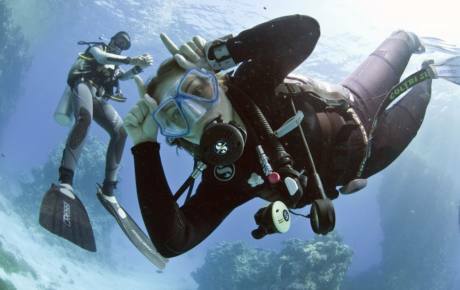 Mandatory is a diving medical certificate, which authorizes participation in diving activities. We recommend that you have this certificate issued by a sports physician at home. On request, this certificate can also be obtained from the hotel doctor. Diving packages or diving courses are usually about 10% cheaper in pre-booking than at you’re destination. Not all, but the most important services can be pre-booked. Diving in the Atlantic Ocean - vast abundance of fish, great visibility, big fishes and all-season moderate water temperatures! Spring is approaching in big steps!